We acknowledge that our employees, present and potential, have aspirations but perhaps not the means to be formerly educated in their fields of interest. To this end, we have created the Harmony Bursary Scheme which awards successful applicants bursaries for full-time study at Accredited tertiary institutions. The scheme covers tuition and residence fees, the cost of prescribed text books, and also provides a personal allowance. The scheme contributes to the development of historically disadvantaged South Africans and covers tuition and residence fees, as well as prescribed textbooks and a personal allowance. Preference is given to the following fields, which are functional to the mining industry. Mining Engineering: Mining is an underground or open cast process whereby minerals are extracted by means of explosives. Mechanical and Electrical Engineering (Heavy current only): A competent Electrical or Mechanical Engineer is a member of the management team at each operation. They are responsible for the safe installation and the proper operation, running and maintenance of all machinery, both electrical and mechanical. They are also responsible for the safe erection and proper maintenance of all buildings and structures on these operations. Geology (Ore Reserves): At Harmony the Geologist is an integral member of the Management Team, and is accountable for extracting ore body in an optimal manner. At an early stage the geologist will apply his/her knowledge to the practical solution of problems in the underground environment, liasing closely with the production teams. Daily duties include underground mapping, borehole logging, data collection and synthesis (structural, sedimentological and grade) and communication of their findings to the rock breaking teams. Finance: The finance department is responsible for all financial transactions. The correct allocation, classification and value of these transactions should be done on a daily basis. The function is also responsible to ensure that the company complies with certain statutory requirements as lined out by the Companies and Tax Acts. Applications for the Harmony Bursary Scheme are open from 1 January to 31 May every year, to be used the following year. 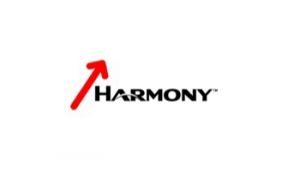 If your application is successful, you will be asked to enter into a contractual obligation with Harmony. All of the details of this agreement will be explained to you in full.